If you are about to start a new exercise plan, it's important to prepare your body first. Understanding that your body may not be ready for a lot of stress all of a sudden is the first step to a healthy exercise regime. Lung capacity is one of the most important factors to consider before starting a new cardiovascular exercise. Running is a good way to maintain shape, fitness, and strength, but efficient breathing while running requires its own conditioning. Build your lung capacity up gradually by doing these breathing exercises. You'll develop more stamina, deliver more oxygen to your muscles, and generally feel calmer and stronger. The diaphragm is a large muscle at the base of the lungs. By engaging this muscle it is possible to breathe more efficiently and build lung capacity. Here is how to strengthen the diaphragm muscle and increase oxygen into the lungs. Lie down on the floor or on a bed. Place one hand on your chest and the other just below your rib cage. Breathe in slowly through your nose. You should feel your stomach move out while your chest remains relatively still. Tighten your stomach muscles and exhale through pursed lips. Practice breathing from your diaphragm by lying on your back with one hand on your belly and the other on your chest. When you inhale, your belly should rise as it fills with air and your chest should remain relatively still. Lie on your back with your knees bent and feet on the floor. Place both hands on your stomach. Take a deep breath into your stomach (not your chest). If you're breathing correctly, your hands will rise and fall as your stomach fills with air. Do 10 of these before running. Exhaling through pursed lips is a great way to reduce a feeling of breathlessness while making each breath more efficient. Pursed-lipped breathing is a simple way to reduce the feeling of shortness of breath. slow the pace of your breathing, and make each breath more effective. Breathe in and count to two. As you exhale, pucker your lips as if you were going to whistle. Count to four as you slowly let the breath out. Runner and author Budd Coates developed a rhythmic breathing pattern while running. His technique allows runners to coordinate their breaths with their footstrikes, making breathing more efficient and preventing injury. The impact of footstrikes causes the greatest amount of stress to the body. The idea is to alternate the foot that strikes the ground when exhaling, to reduce the chance of repetitive impact causing injury. Make sure you're breathing into your belly, not your chest (see above). Create a breathing-running pattern. 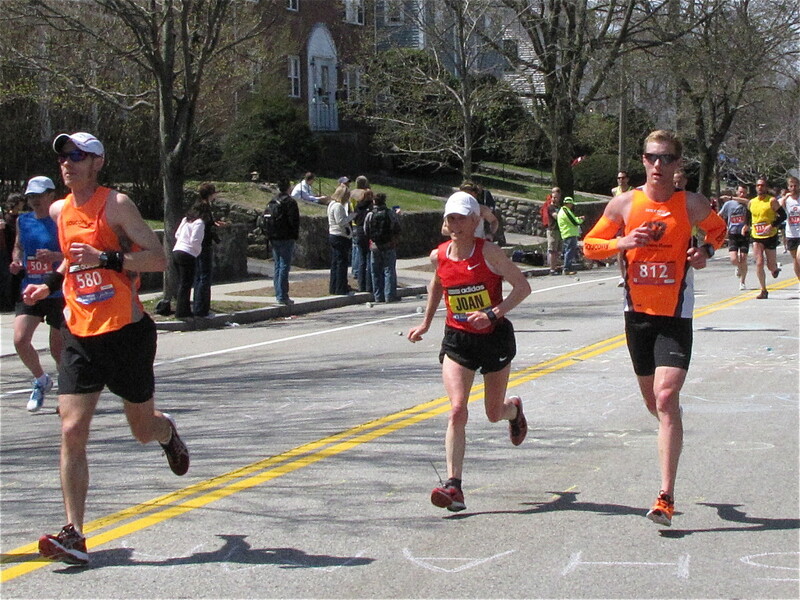 Some runners inhale for three steps and then exhale for two. This technique takes practice. The main goal is to avoid exhaling on the same footstrike over and over. Your lung capacity determines how long you can perform and exercise, particularly cardiovascular exercises like running. A strong respiratory system will help you become a stronger runner with better stamina. Think of it this way: When you breathe too shallowly or quickly, you tire more quickly. 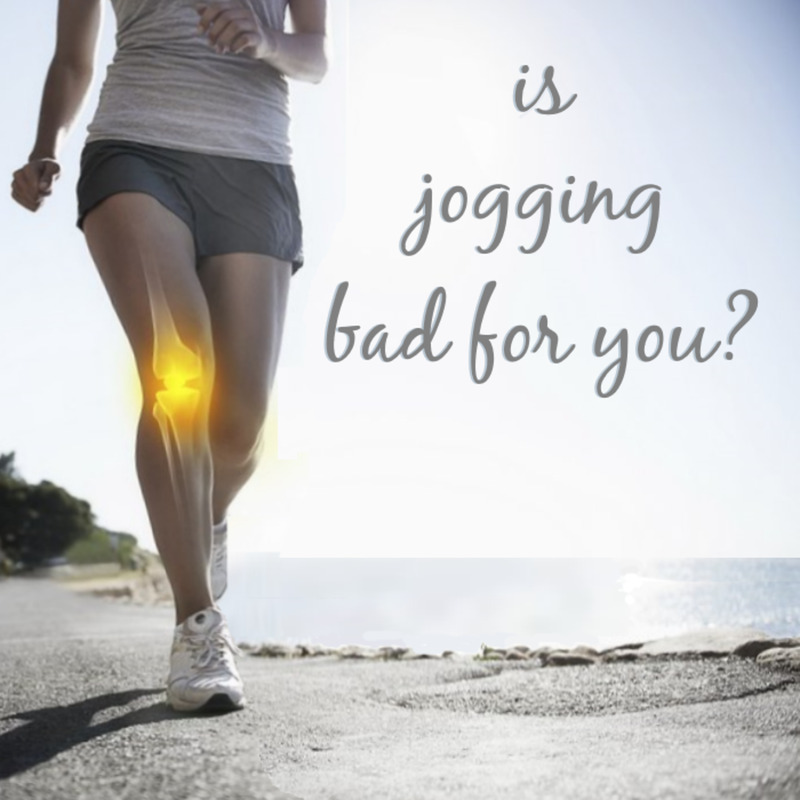 You need to stop running even before your legs are tired. This happens when your lungs cannot satisfy the oxygen needs of your muscle tissue. You tire quickly and have to stop to catch your breath. There are, however, simple steps you can follow to build up your lung capacity, start running efficiently, and keep at it longer and longer each time. The first step to improving lung capacity is checking in with your posture. You are only able to breathe as well as your spine and rib cage allow. Do not slump. Balance your head directly above your tailbone and imagine your skull is "floating" at the top of your spine. If you are sitting, make sure your weight is evenly distributed along the backs of your thighs. If possible, rest your arms at your sides so your elbows are in line with the seams of your shirt. If you are standing, place your hands on your hips and take a deep breath so that you can actually feel your rib cage expand to the maximum. Count to 20, and then exhale as slowly as you can through pursed lips. Repeat 3 or 4 times. 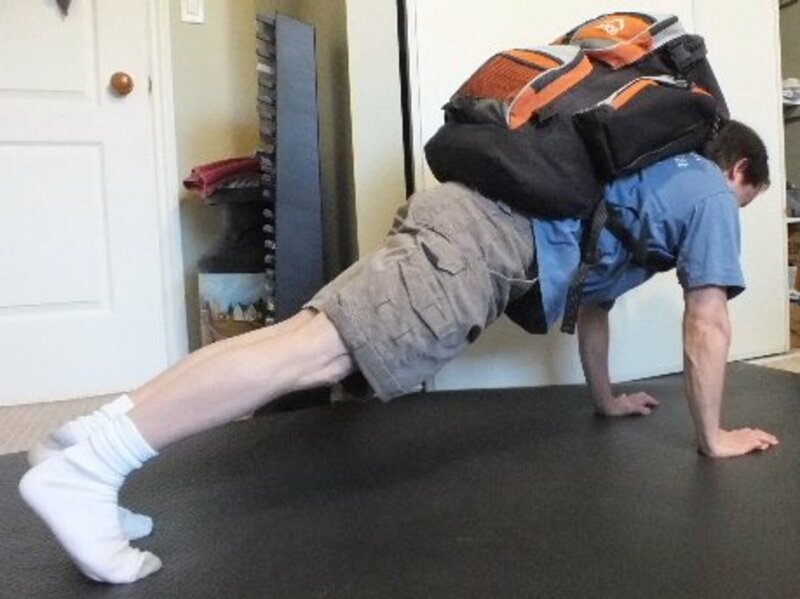 The second exercise to build lung capacity is a bit more demanding. From a standing position, take a deep breath to expand your lungs. Then slowly bend over and touch your toes with your fingertips. Slowly release the breath while rising back to an upright position. Repeat 4 or 5 times. The third breathing exercise is done while walking. Take a deep breath and expand your lungs to the max, and then walk 15 steps before releasing the breath. If you cannot hold your breath for 15 steps, take fewer steps. If you can do more, by all means. This method will give you better insight into how you are progressing. It isn't always necessary to work hard at breathing, even while exercising. 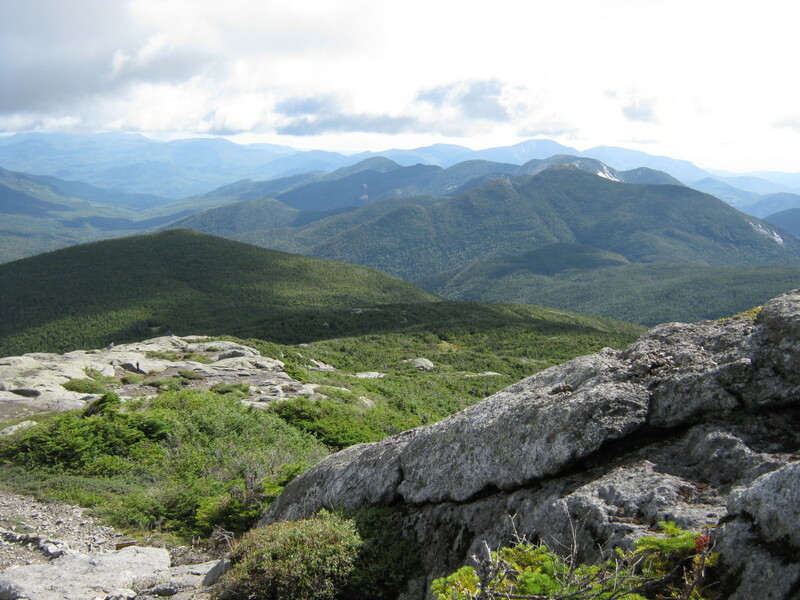 Give your breathing organs—the lungs and diaphragm—a rest when needed. 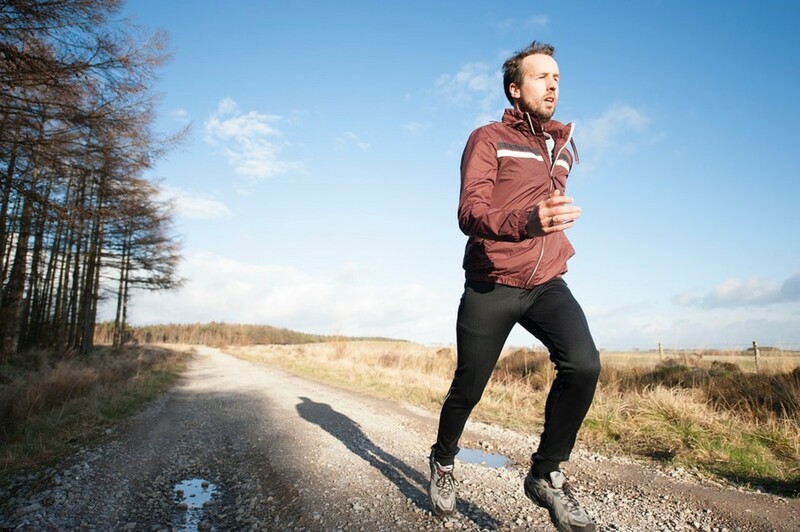 Nicholas Romanov, a doctor of physical education and professional cross-country trainer, says that the lungs and diaphragm themselves consume more and more oxygen as the movement becomes more intense. "At a certain point they start to consume more oxygen than the working muscles of the body, like, for example, legs in running," he says. 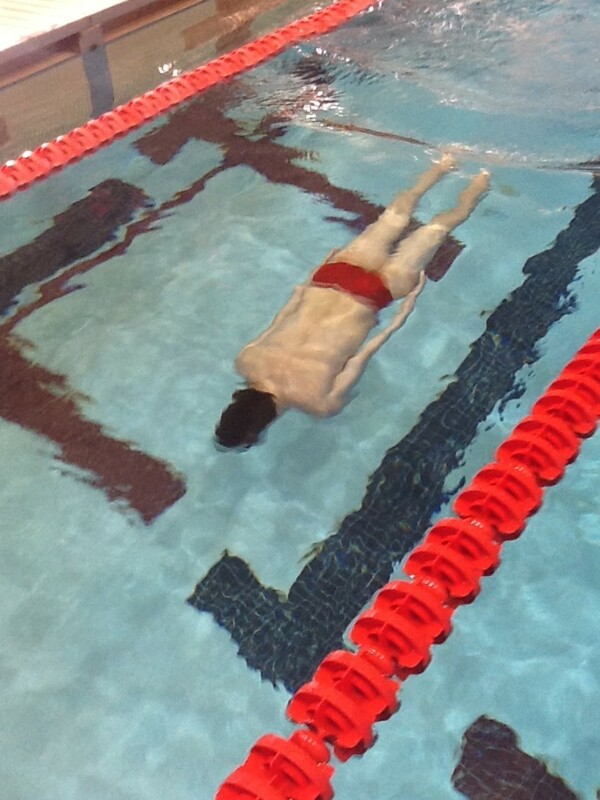 "In this case, a shallow and fast breathing technique makes a lot of sense." Do you think you have reduced lung capacity? Yes, I breathe heavily and pant after activities that are fairly common. It's possible, I've noticed that my stamina is not what it used to be. I think I'm in good shape. My lungs are perfect, I can walk and run for several miles with no difficulty. 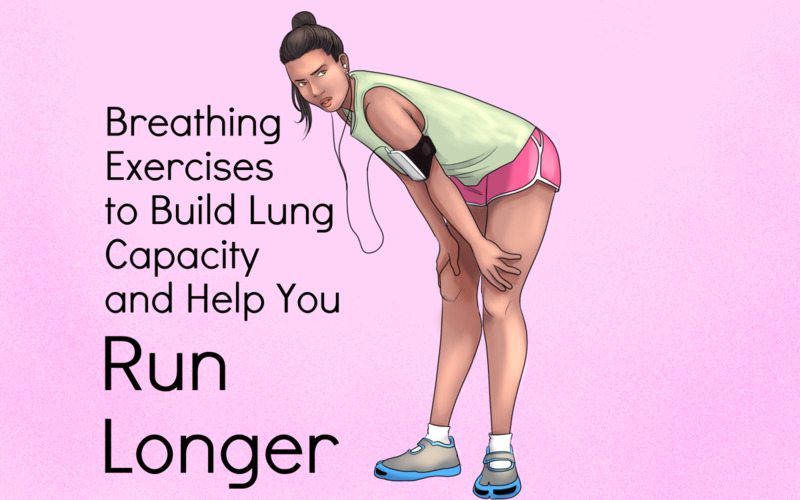 To be ready for your first run, do these exercises to help expand your lung capacity. You can do them at home, in the car, or at work with no preparation. You can even do them while walking. Take in as much air as possible and hold it for about 20 seconds. 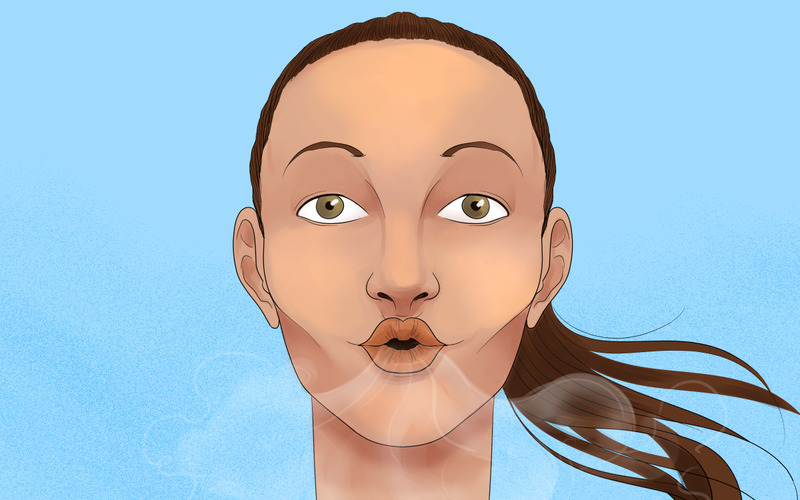 If you cannot hold your breath at full lung capacity for 20 seconds, then hold your breath for as long as you can. Increase duration gradually. This will set up your lungs to receive more and more air each time. Repeat 3 or 4 times in one series. After doing breathing exercises continuously for a little while, you should notice that you breathe less heavily when performing activities that made you pant before. You should be able to walk quickly without losing your breath. Now you have kick-started your running plan. 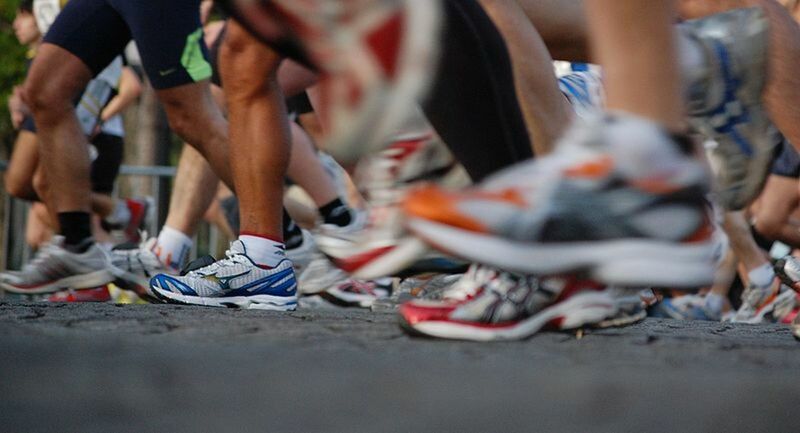 The important thing for beginner runners is to begin gradually to accommodate the new "stress". Start out running in intervals with walking. This will help you regain your breath and composure. If you strain yourself your muscles may overflow with lactic acid (which is that infamous muscle burn) and your session for the day will end sooner than it could. If you run and walk in intervals, you will progress more quickly and help your lungs accommodate your oxygen needs. This will result in better stamina, increased lung capacity, better circulation, and more oxygen in your blood and tissues. Your lungs and your heart benefit from running and exercising in general. Your lungs provide the oxygen for your blood and your heart makes sure it gets to your muscles that need it. It's important to maintain your heart rate at a certain level if you know what kind of results you aim for. Many runners measure the intensity of their workout by using a heart monitor while running. First, figure out the healthy upper limit of your heart rate during exercise. The simplest way to do this is to subtract your age from 220. If you're 50 years old, subtract 50 from 220 to get a maximum heart rate of 170. This is the maximum number of times your heart should beat per minute during exercise. If you're a beginner, aim for the lower end of your target zone and gradually build up. The Lung Institute recommends 30 minutes of moderate exercise five times a week to improve lung capacity. Moderate exercise includes brisk walking as well as running, jogging, and other cardiovascular activities. In fact, regular workouts can increase the amount of air you can take into your lungs by 5 to 15 percent. This can improve endurance and reduce breathlessness overall. If you have ever hurried somewhere or climbed a flight of stairs, only to experience heavy sweating, panting, or muscle soreness, then your lung capacity could be improved. Many people notice reduced lung capacity, due to sedentary habits and other factors. But there are also medical issues that can cause this problem. Chronic Obstructive Pulmonary Disease (COPD) is a group of diseases that obstruct airflow. The American Academy of Family Physicians reports that breathing exercises can help improve lung capacity, even for people with a COPD condition. These exercises, described above, can help people with COPD improve their lung capacity. Jogging for Cardio: To Run or Not to Run? if you are a more advanced long distance runner and are in the best of shape will these exercises still help your lung capacity? Or will the improvements be unnoticeable. Wow this helps in almost all kinds of exercises... thanks for posting this hub.. I have just taken up running and while I have always taught my fitness clients about deep breathing, you tie together very nicely the need for deep breathing and cardiovascular exercise. I will print off the breathing exercises and try each one. Excellent guidance. Thank you very much! A great hub.. Running is indeed a great way to gain endurance. You are so right that we must gradually increase our lung capacity to exercise more or run longer and it should not be hasty. Your 3 breathing exercises are correct way to do it--I actually performed it and felt better. Thanks for sharing this useful and informative hub!